4 Ingredient No Bake Chocolate Peanut Butter Cup Granola Bars (GF, V): an easy, protein-rich recipe for decadent PB granola bars covered in chocolate, made with whole ingredients. Vegan, Protein-Packed, Gluten-Free, Dairy-Free, Whole Grain. 4 Ingredients??? How is that EVEN possible, you might be saying to yourself. Come on, though… 4 ingredients!! I’m playing it cool, trying to pretend like this is no big deal… and I’m failing miserably. But, you know, happily. Also, yes, this is how I play it “cool.” 😉 The thing is, some of you may have already tried my reader-loved (that’s you folks! 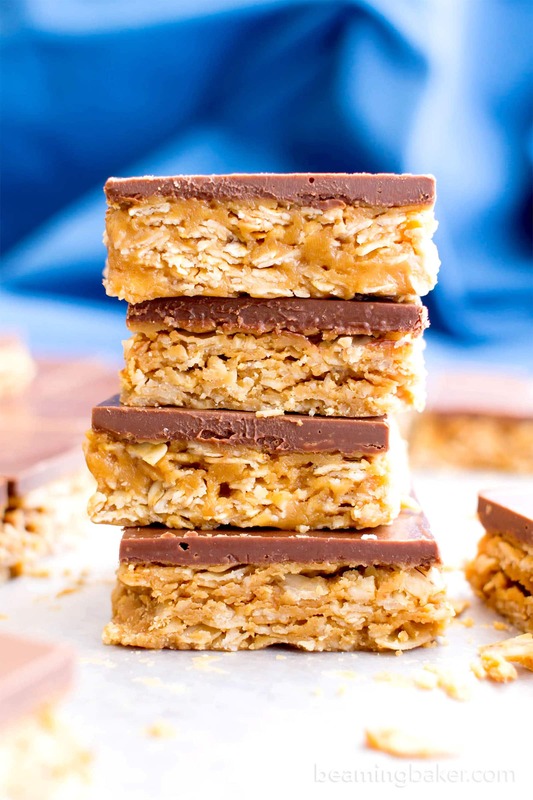 #justsayin) 3 ingredient no bake peanut butter granola bars. I’d been wracking my brain, thinking of a way to somehow incorporate that recipe into something new and deliciously upgraded. But, truth be told, all of that brain-wracking was for naught. Plus, it totally makes me dizzy just typing brain-wracking. So why do I keep doing it??? Moving on… in one of the trials for those granola bars, I made a batch that was too soft. It wouldn’t do for granola bars—at least not for the thick, solid consistency I was going for. But (make that a delicious but—wait a minute, scratch that but—darn it—forget I said anything), it was soft, sweet and so satisfying. I made a note of that trial and put it into my “Tell Me More” file. So guess who came out to play today? Oh YES. That soft, delicious and satisfying, Peanut Butter Lover’s delight. And in true BB tradition, I would have been remiss to not add in some chocolate. Make that my in-my-head-only famous chocolate peanut butter topping. Could these be a granola bar? Or could they be dessert? 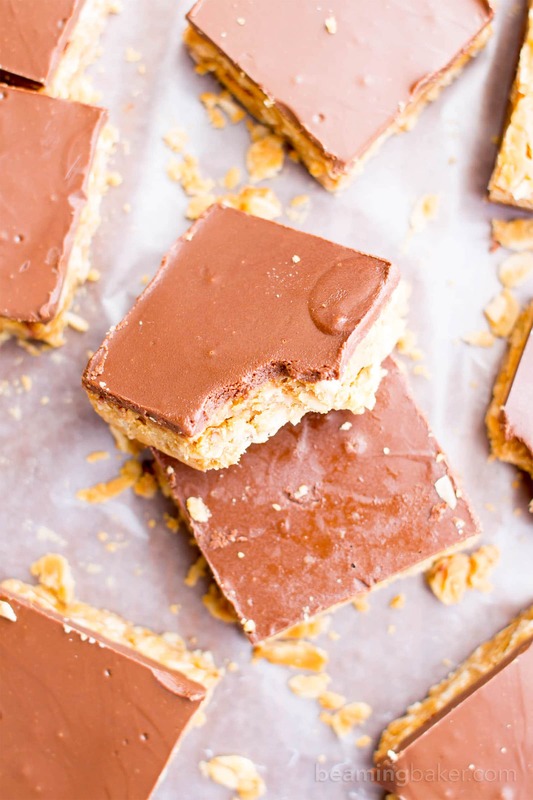 Or perhaps an ultimate no bake dessert bar? 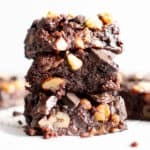 How’s about we call them both, and treat ourselves to something seriously incredible: my 4 Ingredient No Bake Chocolate Peanut Butter Cup Oatmeal Bars. 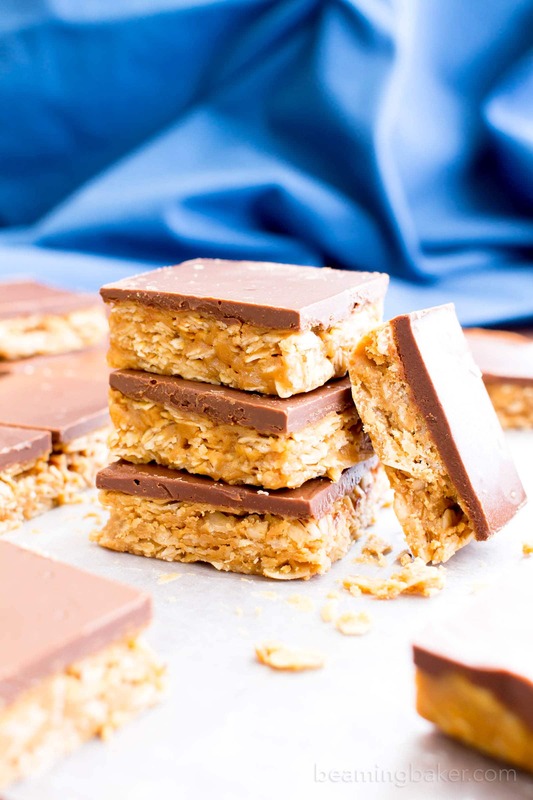 These no bake bars are exactly what would happen if Willy Wonky himself grabbed peanut butter cups and granola bars and put them into some fantastical food calculator machine thingy and pressed the “healthy” and “extra yummy” buttons. Because why wouldn’t there be such buttons on his machine? Along with an “eject spoiled children to a mysterious place that will seriously chill people” button? But enough of that. Ahem. 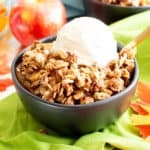 What dessert would you like me to combine with a granola bar next? 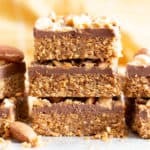 4 Ingredient No Bake Chocolate Peanut Butter Cup Granola Bars (GF, V): an easy, protein-rich recipe for decadent PB granola bars covered in chocolate, made with whole ingredients. Vegan, Protein Packed, Gluten Free, Dairy-Free, Whole Grain. 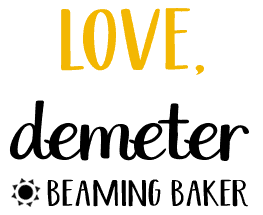 Line an 8-inch square baking pan with parchment paper or wax paper. Set aside. Make the peanut butter oat bars: In a medium, microwave-safe bowl (large enough to add oats later), add peanut butter and maple syrup. Whisk together until well mixed. Heat in 20-second increments in the microwave until warm, fragrant, and tiny bubbles begin to form. Whisk in between heating increments. Add oats. Stir and fold until thoroughly combined. Pour this mixture into the prepared baking pan. Using a rubber spatula, smooth in an even, tightly-packed layer. Set aside. 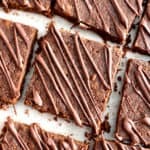 Make the chocolate layer: Use the double boiler method or the following. In a medium, microwave-safe bowl, add Chocolate Topping ingredients. Heat in 20-second increments until softened and melted. Stir until smooth. Pour this chocolate mixture over the bars. Using a clean rubber spatula, smooth into an even layer. Freeze for 30-40 minutes, or until firm. Remove from freezer and slice into 16 bars. Enjoy! Storing instructions below. 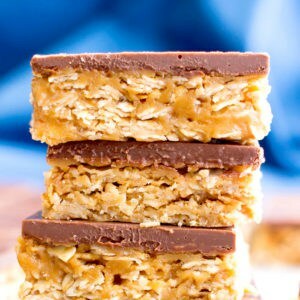 - Adapted from my No Bake Peanut Butter Granola Bars and my No Bake Chocolate Peanut Butter Bars. - Store in an airtight container in the refrigerator for up to 2 weeks. - After the first day in the refrigerator, you may store these in an airtight container at room temperature. - Freezing instructions: store in a freezer-friendly, airtight container for 1-2 months. Allow to thaw for 10-20 minutes before enjoying. 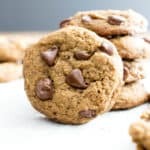 - More No Bake Protein-Rich recipes: 3 ingredient no bake peanut butter oatmeal cookies, no bake almond butter chocolate chip cookie dough bars, no bake double chocolate cherry coconut bites. 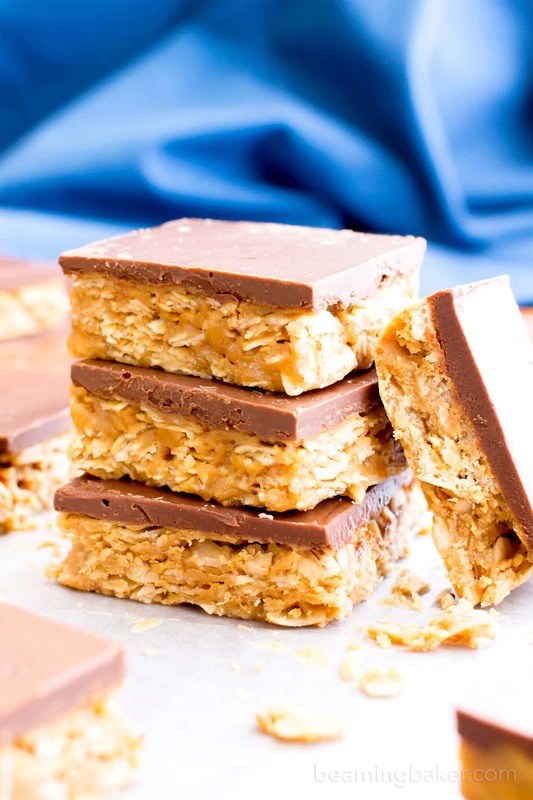 All you need is 4 ingredients to make these scrumptious No Bake Chocolate Peanut Butter Bars (V, GF, DF, Protein-Rich). 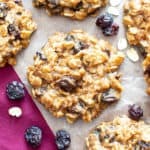 So easy to make, so easy to eat: 3 Ingredient No Bake Peanut Butter Oatmeal Cookies (Vegan, Gluten-Free, DF, Protein-Packed). 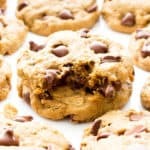 Cookie dough just got upgraded… with PEANUT BUTTER!! Try my No Bake Chocolate Peanut Butter Oatmeal Cookie Dough Bars (V, GF, DF, Whole Grain, Protein-Rich). When you’re craving chocolate nutty YUM: Homemade Dark Chocolate Sea Salt KIND Nut Bars (V, GF, DF). These look so good! 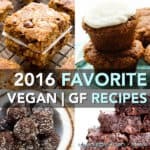 My favorite flavors – chocolate and peanut butter – with oats thrown in! Also, quick and easy, what more can you ask for?! 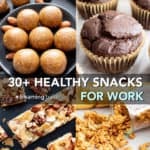 I can’t wait to make them for my kids (my daughter is vegan) – they look like a great snack. Thanks! Oh my gosh! I can eat dessert again! I’m allergic to dairy, eggs, gluten and cane sugar! I will be using your recipes all the time now. I loved these! I was skeptical ???? at 4 ingredient and no-bake, but they were amaze! These totally classify as breakfast in my house, thanks for the new obsession, will be cruising your site for more! 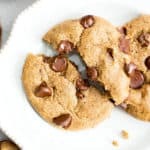 Has anyone tried to make these with soy butter or sunflower butter. My son has peanut allergy and can’t have the peanut butter.